These are the missionaries and Christian workers we support by our prayers and with our gifts. A married couple who are preparing to take the good news about Jesus Christ to a part of West Africa where it has not yet reached. Jason and Andrea Murfitt & Lucy, who are currently based in the U.K. whilst Jason makes regular visits to Madeira exploring options for church planting on the island. A married couple working in the Middle East. A married couple who are based in Eastern Europe and involved in training and supporting pastors and church leaders. Caring for Life an organisation based near Leeds who are sharing the love of Jesus with homeless and vulnerable people in the UK. Pastor training in Uganda – training, teaching and supporting pastors, formerly known as ‘Project Timothy Uganda’. 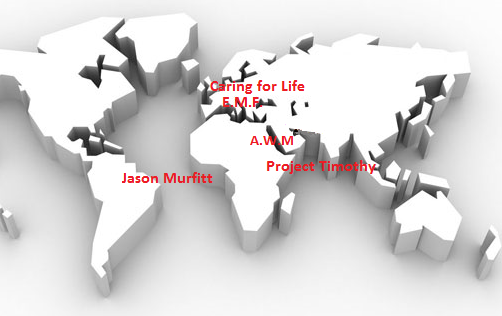 As members of Shepshed Word of Life Church we have a wide range of missionary interests between us. On Thursday evening we will often have a missionary speaker from a mission other than the ones listed above.